This is the first of my men's line. This piece has a huge amount of sterling silver in it. 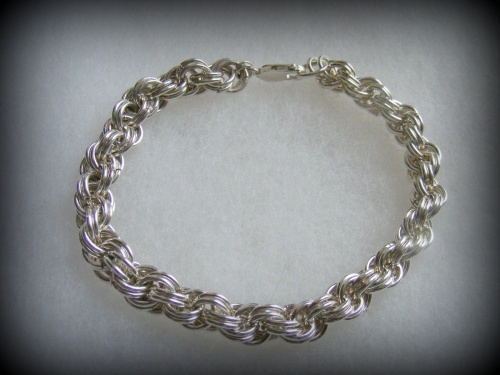 Hefty rings were from sterling silver wire and then woven together to form this spiral chain. Can be made any length you wish. Leave comment in paypal box for instructions on ordering. This particular piece is 9" long.